Maybole Pipe Band was off on its travels again last weekend. This time, though, it wasn't Germany, France, Spain, Ireland or some other exotic destination but a bit closer to home. They did have to cross the water though as they headed for the island of Arran and the Brodick Highland Games last Saturday August 6th 2005. 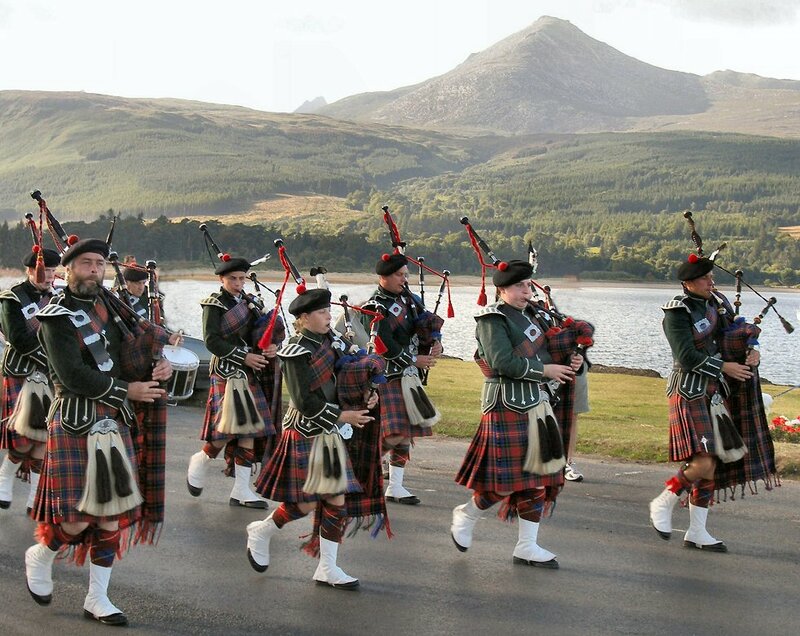 Our photo shows the band heading for the ferry home with Goat Fell in the background. Photo by Alistair Hastings. Click here for a larger photo. More about Maybole Pipe Band.